Peter Whitmore has been professionally training horses for over 20 years. 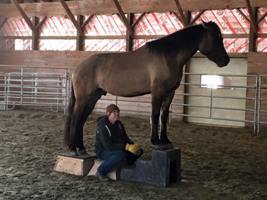 Specializing in starting horses correctly and rehabilitating the so-called "problem horses". His method of training utilizes the round pen and the importance of solidifying the horses training foundation. Horses trained by Peter have gone on to have successful careers in English and Western disciplines at all levels of competition, under saddle and in harness. As well as developing safe family trail horses and 4-H mounts. Clients include veterinarians, farriers, equine college professors, mounted police, breeders, trainers and horse show judges. 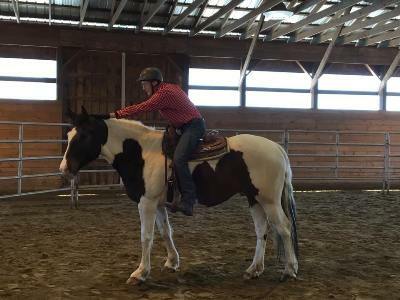 He welcomes all breeds, disciplines and ages and believes in developing individualized training programs to meet the specific needs of both the horse and rider. Generally horses are started and going smoothly under saddle at the walk, trot and canter in 30 days.